Deciding to remodel isn’t easy, especially with a family. Construction projects are hectic already and adding a barking dog or running child leads to potential danger. You can maintain a safe space for kids and pets with the tips below. Sit down with your family before the remodel and explain exactly what’s happening. Be clear about where it will be and when. Take it one step further by organizing a game plan: Designate who will watch the kids and corral pets, and decide where it’s safe to go during the build. With everyone briefed and positions set, there will be no added confusion when the crew starts working. Let your contractor know what to expect. Keeping them aware of their environment prevents any obstacles when they arrive. Make the household’s daily routine known, when you leave for work or when students get home from school. The contractors can then act accordingly by understanding what’s happening around them. Youngsters easily get in harm’s way and anxious animals may become upset with strangers in the house. The best solution is keeping them separated by sectioning off areas the family can go and renovators cannot. Create a temporary play room or living room that is well out of the way and move frequently-used items (like the television) so they can still be used. This way, children will play uninterrupted while remaining far from the work-zone hazards. Don’t forget your pets. You may need to relocate their sleeping and eating areas, or provide an additional location for water. Sometimes, leaving your home entirely is a better choice. In your absence, the contractor’s team can work freely and finish sooner (saving you money). Instead of managing little ones around hazardous equipment and risky situations, you can rest assured. And instead of doing dishes in the tub, you won’t have to sacrifice amenities while the work is completed. Pet boarding options exist in instances that you cannot take your furry friend with you. There is no avoiding the layer of dust and debris that gathers inside your home during a remodel, even with the best crew and dust control techniques. That gives homeowners one last challenge when the project is done: a thorough cleaning. Wipe off surfaces and ventilate areas that underwent construction. The added benefit is that your new room will look its best right when its finished. Side note – be sure to talk with your contractor about how they will keep your home as clean as possible. 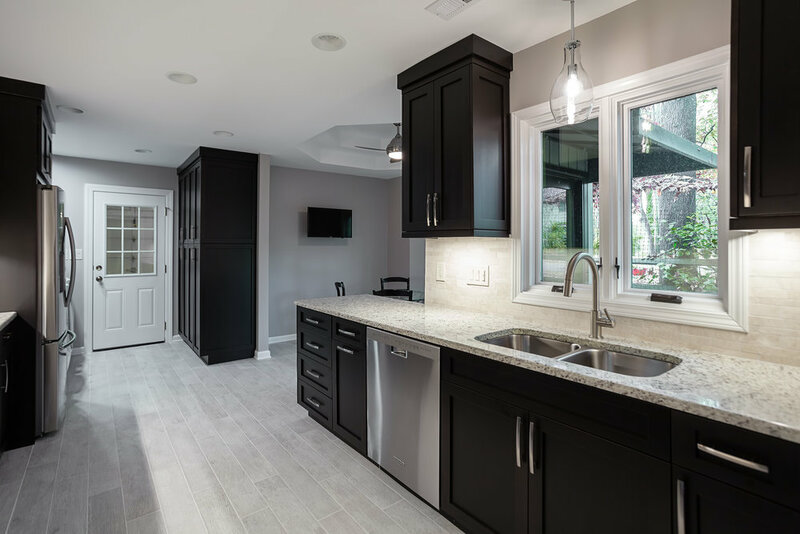 As a professional remodeling contractor, Detailed Interiors draws on extensive experience in construction and design to ensure every project goes smoothly. We customize plans that fit homeowners needs and stay within their budget. If you’re ready to take on your kitchen or bathroom renovation, give us a call at (704) 844-6757, or use our online contact form.